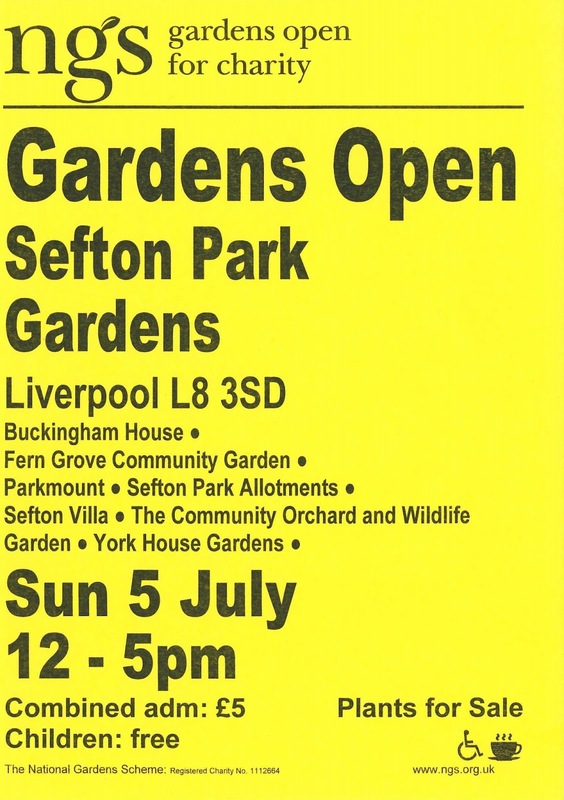 Fern Grove Community Garden, alongside a host of other Sefton Park gardens are taking part in the National Gardens Scheme' Open Day on Sunday 5 July. Fern Grove Community Garden will be open from 12noon to 5pm on Sunday. 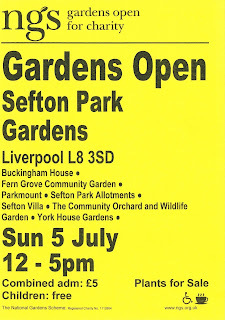 There is currently a £5 entrance fee for adults, but this does include entrance to the other six gardens listed. We currently have a limited number of tickets FREE of charge, so if you would like to go on Sunday pop into our centre at 129d Lodge Lane and pick yours up!